A well-built deck will open your outdoor activity horizons, increase the home value, make everyone in your family happy, be the ultimate spot for entertainment and never be the reasons for safety concerns. The benefits of sound deck building bring us to our main topic today. This is not a job you should do or leave to a handyman. There are too many things at stake if something goes wrong. 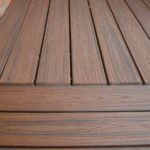 The good news is that there are many deck companies out there. 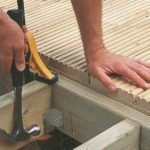 But key to ensuring a sound and solid construction is the qualifications of the pros. 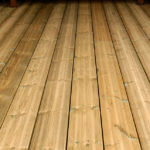 And so here we are going to tell you how to find the best deck contractor. We often talk about decks and patios and actually mean the outdoor space, where we sit, eat, and relax. And it’s true. 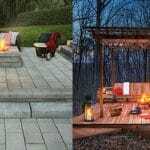 They are both outdoor structures that turn our landscape into a living place where you can entertain friends, grill, read, or simply enjoy the stars & the moon. That’s their similarity. 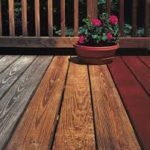 But an outdoor decking is a completely different structure from a patio and installed for entirely different purposes, which have to do with your budget, terrain, and personal needs. 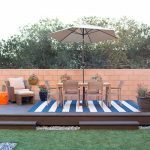 So let’s define them, check their pros and cons, and see whether a stone patio or a wood deck will be the best option for your garden. One of the benefits of custom decks is that they leave your options open. Backyards have their differences in terms of size, slopes, design, and style. But the most important aspect of deck building is functionality. Aesthetics come next. 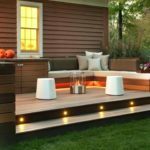 Although equally significant, deck decorating ideas are relatively easy to implement and change. Though, if the deck area is not functional, it will make your days spent outdoors a tad difficult. So planning well and in accordance with your needs is essential. Here are some main ideas that will help you maintain function without losing form. The outdoor decking is your summer living room. It must provide comfort, privacy, and room for long hours of relaxation. And so you need a tsunami of ideas to make a simple sketch on a piece of paper an inviting outdoor space. Now, there are a lot of things to consider before deck building. 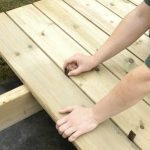 From permits to blueprints, there is a lot of fuss before you actually see the deck taking place in your backyard. But since it all starts with one single idea, let us give you plenty so that your deck will embrace all your needs.